Union members in Southern Ontario are reaching out to former brake plant workers to encourage them to get tested for asbestos-related illnesses. Rick Garant can vividly recall the asbestos-filled dust that swirled around the old brake factory where he worked in Tilbury, Ont., near Windsor, in the 1980s. "White masks used to go black by the end of the shift," he says. "I'd blow my nose and the Kleenex would be black." The Tilbury plant produced brake pads for commercial trucks and like many other brake manufacturers, used asbestos as a friction material until the late-1980s. Though Canadian brake manufacturers have stopped using asbestos in brake pads, an Ontario MPP tabled a bill on Wednesday, March 21, that if passed will ban the millions of dollars worth of asbestos pads that continue to enter the country each year via imports. In the meantime, an increasing number of former Ontario brake workers are getting sick, more than 25 years after they were exposed to asbestos at work. Garant, 48, is not one of them and remains healthy. 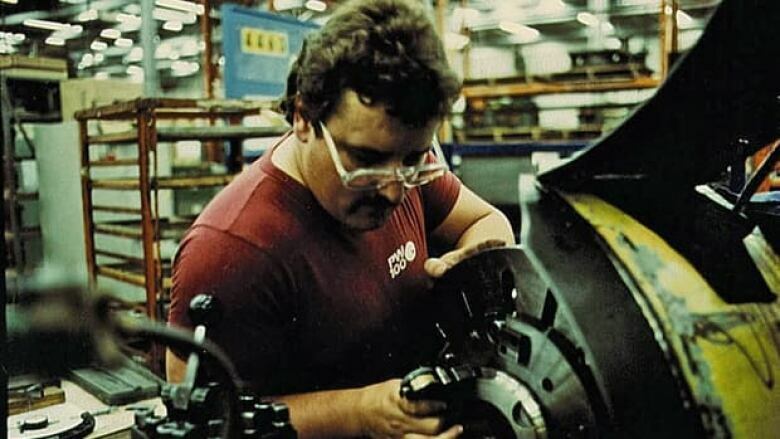 But as president of the CAW local in Tilbury from the early 1990s until 2007, he filed more than a dozen workers’ compensation claims for sick employees at the plant. "Lots of people died," he says. "I dealt with guys with pleural plaques, asbestosis, mesothelioma, lung cancer." For many, the diseases took them by surprise, Garant says. "They thought they had a stomach flu that just never went away." The deadly impact of asbestos brakes is visible at the local Tilbury CAW office, where headshots of the brake plant retirees are displayed on a wall. "When the individuals have passed away they mark them in yellow," Garant says. "Knowing the individuals, it’s shocking to see how many have died of a disease." One of the photographs on the wall shows Kevin Smyth, 54, who was the first person from the plant to file an occupational disease claim with the Workplace Safety and Insurance Board (WSIB). In March 2000, when he was 42, Smyth left work to see a family doctor about his shortness of breath. He ended up in the emergency room at a local hospital. "I had no idea that was my last day at the plant," he says. Smyth was diagnosed with lung cancer, and was forced to undergo painful surgeries and treatments to deal with a collapsed lung and a tumour, which he describes as having resembled a meatball lodged in his windpipe. The cancer was attributed by WSIB to asbestos exposure at the plant, a fact that Smyth says he never expected. "It’s really an eerie feeling at first," he says. "You think, 'Oh my God.' I thought everything was good [at work]." As the first WSIB claim from the plant to be accepted for asbestos exposure Smyth’s diagnosis set a scary precedent. As he puts it, "You find out what everyone else could face." When the Tilbury plant closed in 2009, many of the employee records were lost. So local union members, including Smyth, are working with Occupational Health Clinics for Ontario Workers (OHCOW) to try to determine how many more illnesses are still out there that could merit workers' compensation claims. "I think there will be some more cases," Smyth says, citing the lag period of nearly three decades for some asbestos-related diseases to appear. "We’re getting to the outer end of the spectrum now, the latency period," he says. The former Tilbury plant is one of a few brake plants in Southern Ontario in which workers were at one time exposed to asbestos. In St. Catharine’s, Ont., 10 former auto workers, who were exposed to asbestos brakes at the General Motors factory between the 1960s and 1980s, have filed claims for asbestos-related diseases. Most of them worked on the assembly lines, putting the brakes on vehicles. All but two of these cases are mesothelioma, a deadly cancer of the lining of the lung linked to asbestos exposure. Bruce Allen, vice president of CAW Local 199 in Niagara says he thinks they’re just seeing the beginning of these claims. "The numbers are still relatively small, but the frequency of the claims has gone up," he says. "Over time there’s going to be hundreds." According to the Association of Workers’ Compensation Boards of Canada, asbestos-related deaths accounted for about 340 deaths in 2005, or 61 per cent of deaths from occupational diseases that year. According to Dr. Marc de Perrot of the University Health Network in Toronto, the numbers of mesothelioma cases in Canada are increasing exponentially, and quite rapidly. The hazards of exposure to asbestos in friction products has been known for decades. In 1948, General Motors’ chief industrial hygienist took note of the dangers created by brake materials in the factory. But many brake manufacturers kept using the fibres for decades after that. Garant points out that, of the Tilbury plant retirees who have passed away from cancer, there are a number who never filed claims. "Can I say [it was caused by the] workplace? No," he says. "But I can’t say that it wasn’t." Should Canada ban the import of asbestos brake pads?